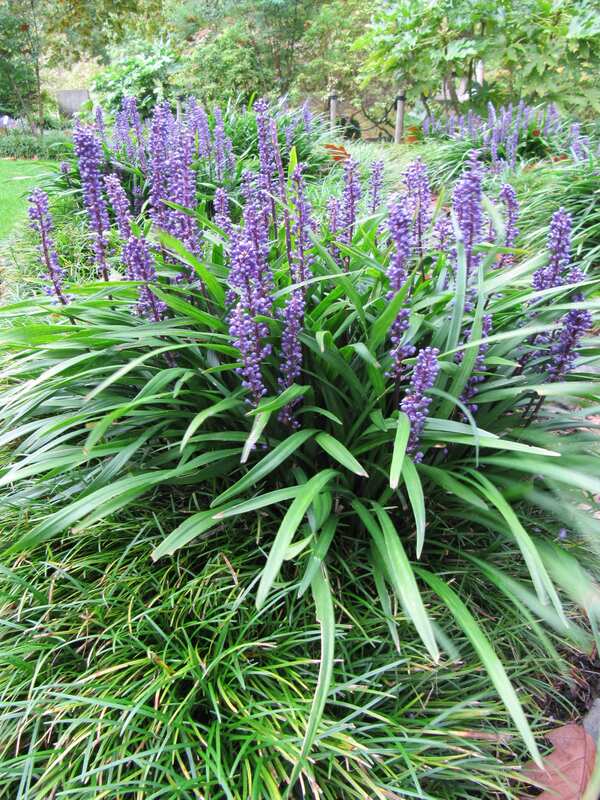 This lily turf offers great late season colour with a prolific number of lilac-blue flower spikes on violet-flushed stems, rising from the dense, tufted clumps of leathery, dark green foliage. This is the showiest of all the lily turfs and is adaptable and tough, without becoming thuggish. For added interest, under-plant it with spring flowering bulbs. Evergreen. Acid soil tolerant. Hardiness Zone H7. Grown organically in peat free compost. Pot size 2 litre. Remove old or damaged foliage in the spring, which is also a good time to lift and divide well established clumps.